Before you share your photos on social networks almost certainly the shots are going to need a little work. If you do not trust even the classic Instagram, you can choose one of the many applications available on the Google Play Store, such as the new Simple Selfie photo editing tool that allows you to edit and even share your pictures with friends in just a few simple taps. 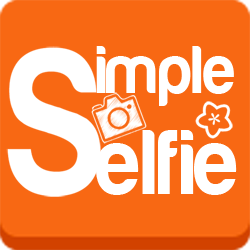 By downloading Simpel Selfie Photo Editor in you can edit your photo and then share with your friends. The application also provides you with a complete set of tools to edit your photos. You can rotate images, trim, change the brightness, contrast, add Instagram -style filters, insert a frame or blur a part of the picture. Do not miss the opportunity to add text, insert drawings and also the sticker. Edit and Share instantly : Take photos directly from Simpel Selfie Photo Editor with your camera, or edit the images in your photo gallery; after editing with the powerful tools Simpel Selfie Photo Editor, now share it with your friends and fans on Facebook, BBM, Twitter, Flickr, and many other social networks. Do you often use slang words when updating status on Facebook, Tweet on Twitter or when chatting with friends on the Line, WhatsApp or BBM? or maybe you read and find the slang word in everyday life? Sometimes, we are a little difficult to understand the meaning of the slang words that we find on Facebook, Twitter or suggested by friends while chatting on BBM or Line. Well for your Android mobile phone users, now there is an application that will help you to understand the slang word quickly and easily, (Kamus Gaul Keren) Cool Dictionary for Android, an application that is simple yet and very easy to use. With this Android app, we can search for the meaning of slang words in seconds. Applications that will help you in understanding the various slang words that we’ve encountered on Facebook, Twitter, or while chatting with friends, so that will make you look more sociable by friends. 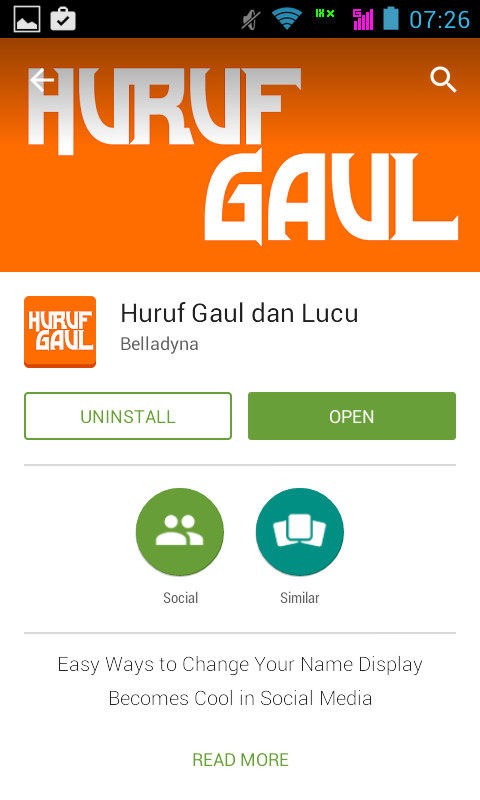 Kamus Gaul Keren for Android App can be downloaded for free in the Google Play Store from your Android phone.